I noticed something over the weekend, and it seems to be on the rise because it wasn't just one group, or one research group. I think this warrants some discussion because it is both a recurring theme and problematic to the subject we all research. I'm referring to what comes off as bullying by old timers on those poor defenseless noobs, and in saying that I say in jest but the point is this is still happening. The gist of the observation I make is that tendency for some of the grizzled old timers to gripe when some silly noob has the audacity to ask something that has been asked before. Here's where we may find a catch 22. Those of us that have done this for a while do understandably feel some fatigue when the same ol questions get asked, but the reality is that interested newcomers need to start somewhere. Yes, some of the more imitative minded folks will read for themselves and getting their feet wet, but others will need a little more of a nudge. The reality is that with a greater awareness of the subject, more people will inevitably become interested and the community will grow, be they enthusiast or actual researcher, and yes there is a difference. The thing I still repeating itself is that with that fatigue, some old timers would rather just shut down any revisiting of an old subject and in the process shut down any new insights that might potentially be offered to the discussion. It also frustrates new comers and drives them away and I personally don't think that's right. Truth to be told it sorta comes off like elitism, that is completely undeserved. You may have done this thing for years, you may have been on the forums before face book and maybe even the BBS's and stuff earlier than that, but have you solved this thing? Fraid not. So I think there is a genuine need in the community for some to get over themselves and stop doing this because it doesn't help a damn thing. 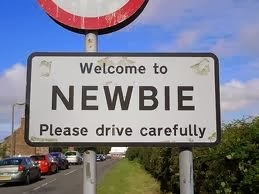 A genuinely motivated newbie may well have something to offer, and the snobbishness and outright bullying is uncalled for. This isn't to be confused with self policing the hoaxers out there, but I have encountered more than a few well intentioned folks newer to the community who have gone through this and the frustration is there and simply doesn't need to be. I'll rap up this little diatribe with the gentle reminder that the spotlight comes to the one who solves the mystery, not those high on their own perceived reputations, many of which are completely undeserved. Happy Monday footers.